BYU classes started this week! I'm taking two classes from professor and children's author Rick Walton. I'm so excited! 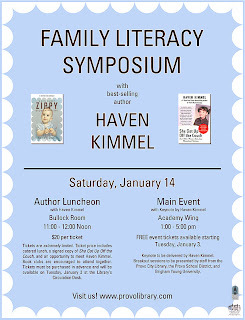 Writing for Children & Adolescents and Publishing for Children & Adolescents. For the publishing class, Rick has invited so many of his writer friends (and editors & publishers too) to be guest speakers! Stay tuned for future posts highlighting these classes. The awesome fantasy author Danyelle Leafty (The Fairy Godmother Dilemma series) interviewed me and gave me an award this week! It's called The Golden Apple of Book Blogs. This is a first for me! Thank you, Danyelle! If any of you kind readers would like to know a little bit more about me, please check out Danyelle's blog post via the apple image on the left! Debut YA author Marissa Meyer is coming to the Provo Library this upcoming Thursday (Jan. 12th) at 7 PM! 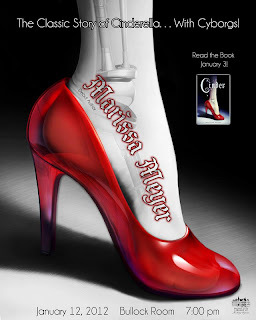 Marissa is the author of Cinder, a science fiction, cyborg retelling of the classic fairy tale, Cinderella. This book is the first in the four book Lunar Chronicles series. 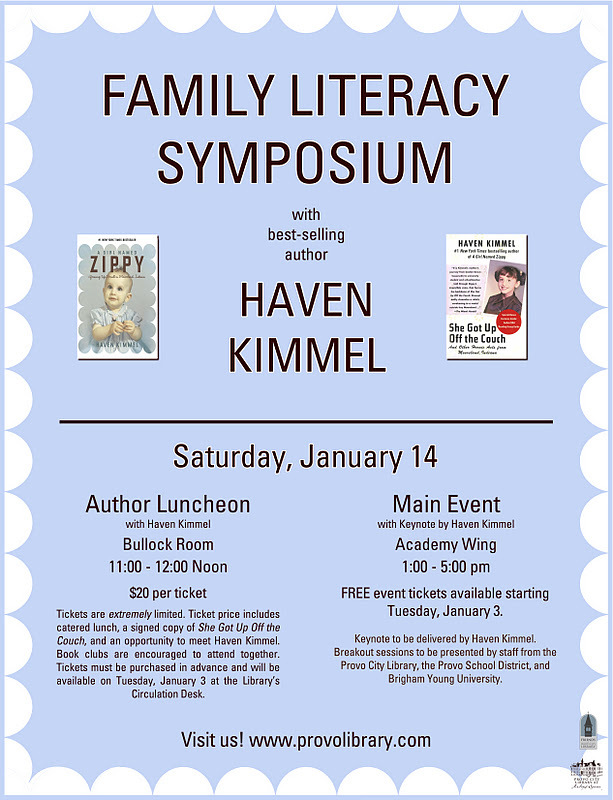 The event will be held in the Bullock Room of the library and seating is first come, first dibs on seats and everybody else is out of luck. NO tickets for this event so get there early!